You’re smarter than the average football fan. It’s 2018, and you recognize the value in using data and analytics to make football predictions. With the inherent complexities of football, there’s more to predictions than analytics. However, the numbers provide an objective baseline with which to start your analysis. The Power Rank 2018 Bowl Season Report gives you access to my best predictive analytics. In 2018, these numbers predicted more game winners straight up than the median closing spread at Don Best. People use these numbers in pools. In addition, the report provides context on each game in terms of match ups, injuries, altitude and players skipping the game to prepare for the NFL draft. These tidy write ups alone are worth the price. Also, the report provides a cheat sheet that makes it drop dead easy to fill out your entry into a bowl pool. To get The Power Rank 2018 Bowl Season Report, click here. 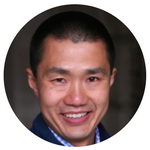 Hi, my name is Ed Feng. I’m the founder of The Power Rank, a company devoted better sports predictions through analytics. While I’ve been a crazy fan my entire life, I never expected to work in the sports world. After getting my Ph.D. from Stanford in chemical engineering, I was one of many in search of an academic job. That changed in 2008. I was reading the paper on Google’s PageRank algorithm and realized all of its similarities with my research. This inspired me to develop a new method for ranking teams. I worked out some NFL rankings and sent an email to my friends. Enough of them were intrigued for me to explore other sports. It became an obsession, and I found a way to quit my day job to devote all my time to The Power Rank. In March of 2012, SB Nation made a video of my March Madness analytics. In January of 2013, I predicted Alabama would beat Notre Dame on the cover of Sports Illustrated. They called me their analytics expert. Since then, my numbers and content have appeared in a wide range of media outlets. Much better than the average sports analytics – maybe even 2 standard deviations better. — Dr. Daniel Heller, Marin, CA. Let’s take a look under the hood at the engine that drives these analytics. The foundation of my football analytics is the ranking algorithm. I developed this method from my Ph.D. research at Stanford on the physics of molecules and the math of randomness. Let’s look at how it ranks college football teams on offense and defense based on yards per play, a powerful efficiency metric. It gets the box score of every football game. For college football, this includes over 1400 games on the FBS and FCS level. The algorithm creates a network in which the offense and defense of each team are nodes and games are edges that connect the nodes. This was inspired by Google’s PageRank method, which brought order and insight to the complex world of web search. From this network, the method develops a set of equations to be solved. For college football in 2017, there are 508 equations (two for each of 254 teams) with 508 unknown variables. Finally, the variable for each team is transformed into a rating that gives an expected yards per play against an average team. There is one aspect of my methods that make it different from most other rankings out there. The algorithm solves for the 508 variables simultaneously in college football. This is the key to accurately accounting for strength of schedule. Many other ranking systems do not do this. On every morning after a college or NFL game, my MacBook Air crunches the numbers. The resulting rankings allow me to make predictions for point spreads and totals. The report has a spread and total prediction for every bowl game. Through championship week, the spread predictions have picked the game winner straight up in 74.4% of games (544-187). The median closing line from Don Best has gone 74.2% on the same set of games. Against the closing median spread, the predictions are 51.0% (368-353 with 10 pushes). The predictions for totals started after week 4. These predictions are 51.2% (271-258 with 4 pushes) against the closing median total. Ed releases great member numbers for college football and the NFL. I particularly like the college football totals, which predict line movement more than 90% of time. For under $100 annually this is the best bargain in the industry in my opinion. I do not recommend making wagers based only on these numbers. The computer predictions should serve as an objective baseline for you to start analyzing a game. The report is worth its price just for collecting this information in one place. Finally, the report ranks games by win probability so you can instantly fill out your bowl pool entry. In addition, it makes recommendations for contrarian choices to win medium size pools. To get The Power Rank 2018 Bowl Season Report for $39, click on “I want this!” Since the games have started, you can use the code feng, my last name, to get $10 off. A special, physical copy of my book How to Win Your NCAA Tournament Pool, mailed to your door. Limited supply available. 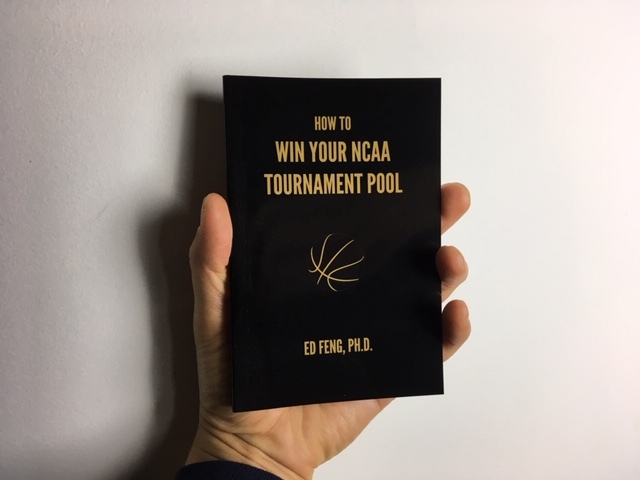 For a limited time, you’ll also get a special edition of my book How to Win Your NCAA Tournament Pool mailed to your door. My March Madness analytics and bracket advice have helped many win their pool over the years. In 2015, I won two pools, one of them had 100 entries, and the other had 20 entries. In 2017, I won two pools and finished second in another. A membership to The Power Rank is neither a handicapping service that provides picks or a get rich quick program. If you want either of these things, please save us both time and do not become a member. However, if you recognize the power in using analytics as an objective baseline for making predictions, then you have found the right membership program. To become a member of The Power Rank for $84 per year and get instant access to the premium content, click on the orange “Add To Cart” button. This membership renews every year. You can also pay with PayPal, JCB and Diner’s Club.